Back in my home state, today I’m riding with my dad all over north-central West Virginia. Today’s journey leads to Kingwood and Westbrook’s Esso Station. 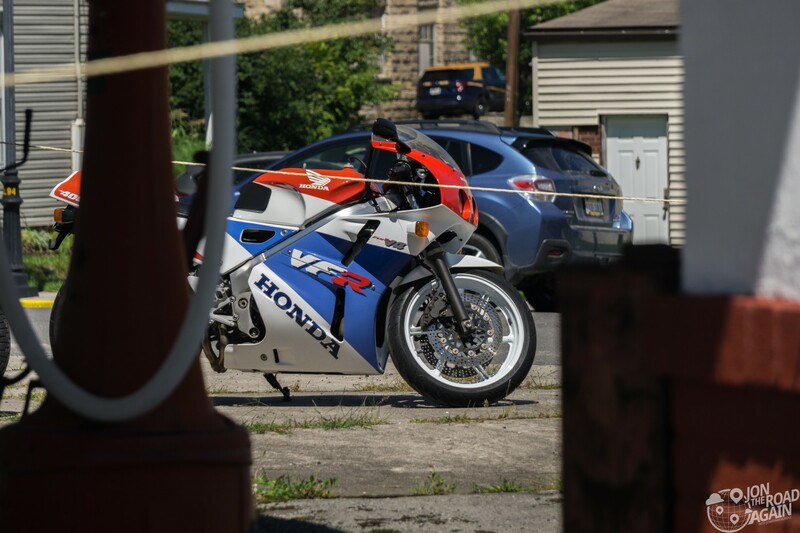 This trip is the first for my new bike, a fresh-from-Japan 1990 Honda VFR400R. This model bike was never sold here in the states, so dare I say this is the only one like it in West Virginia. Enough about the bike – let’s hit some of those famous country roads. 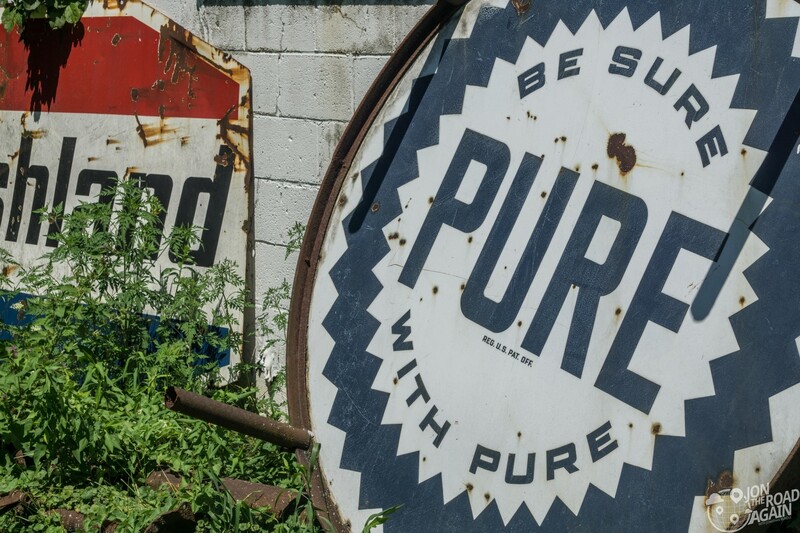 Opened in 1926, the station started its life as Loar’s Service Station. The story goes that two friends named Loar an Englehart decided to open up the station together. They were told by a Standard Oil salesman that a major interstate highway was going to go through this area, right through this corner of Kingwood. They bought it, but the road never came. After the depression, the two men came to the realization that the station could not possibly provide enough income for two families. They decided to flip a coin for the station – Mr. Loar won the toss. Okay, but why does it say Westbrook’s Esso Station? 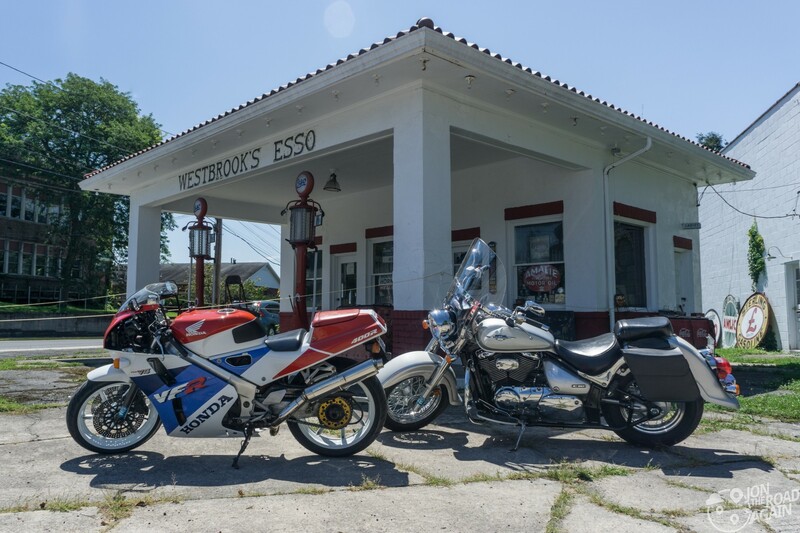 Tom Westbrook, a Kingwood-born and based businessman bought the property in the 1990’s and restored it to what you see today. 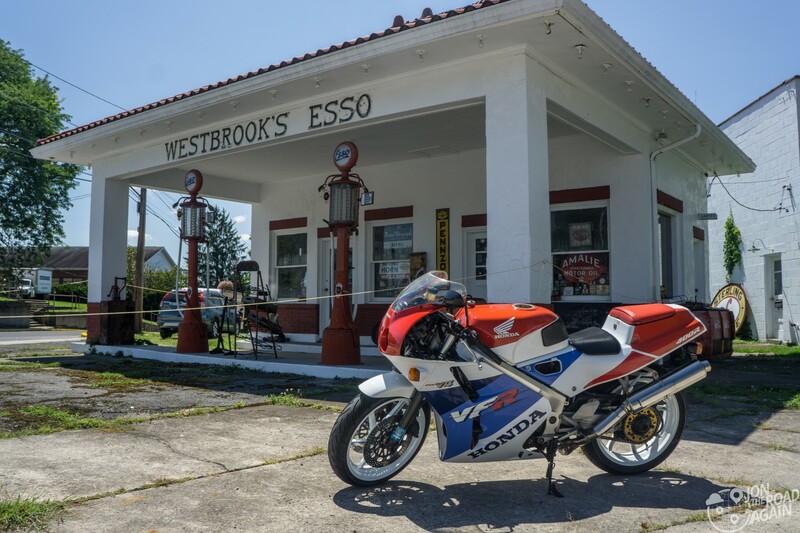 Mr. Westbrook has the pumps, the signs and the memorabilia to transport you back to the 30’s when a gallon of gas cost less than a quarter. 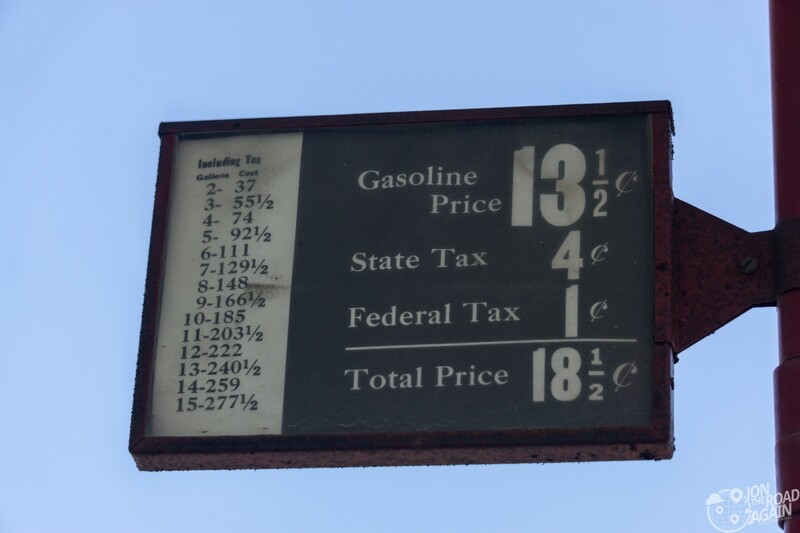 Inside the station are maps, gas pump globes, signage, calendars and more from this forgotten era of service stations. 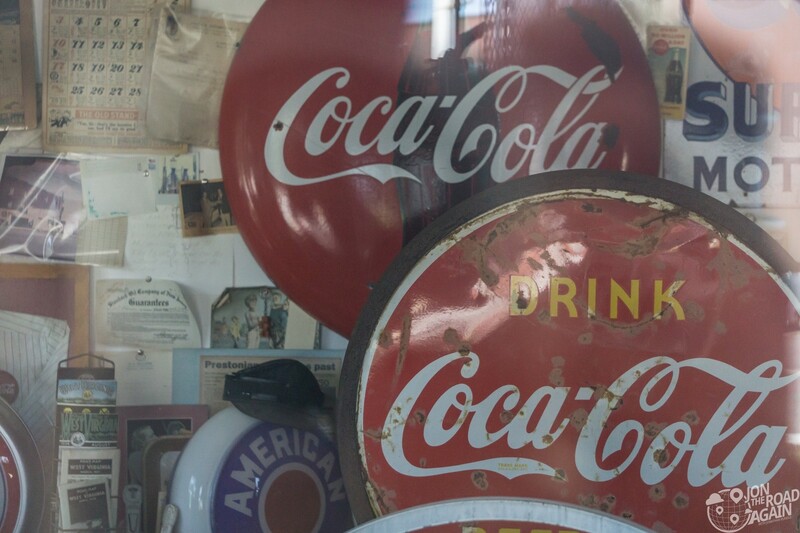 Out back, even more memorabilia awaits from gas stations of various eras leaned up against the nearby garage. Our stay is a short one, as you can’t go into the station on your own. So, it’s time to walk back to the bikes and continue on our way. 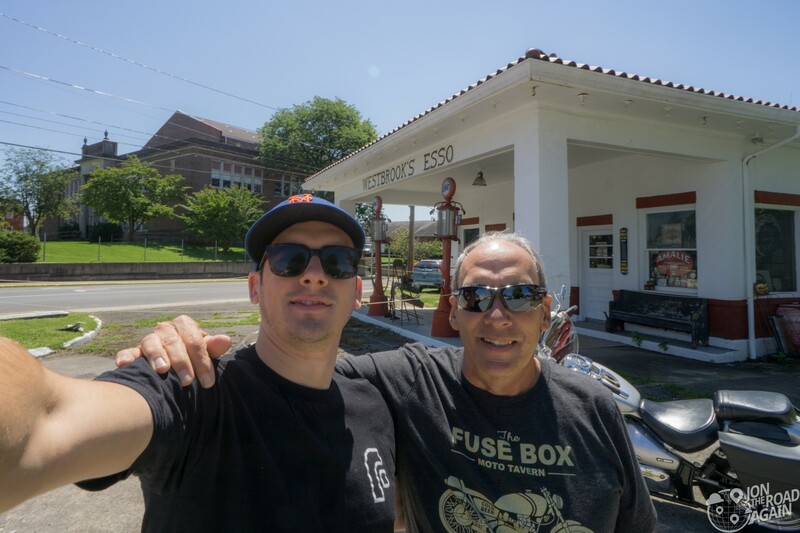 Dad and I are going to grab some lunch here in Kingwood before we continue on our way to the Philippi Covered Bridge, Valley Falls State Park, and Blackwater Falls. Great pictures and comments, I enjoyed the ride with you! 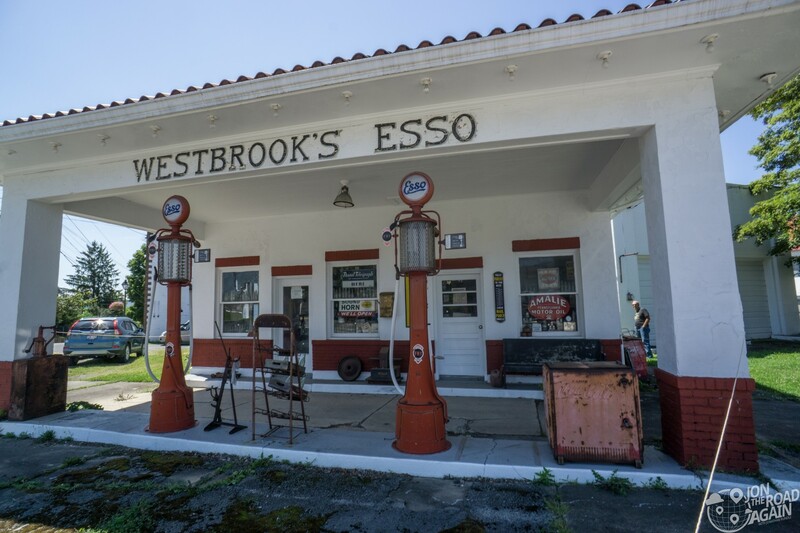 Maybe next time we will visit Tom Westbrooks old car dealership right down the road from the Esso station. 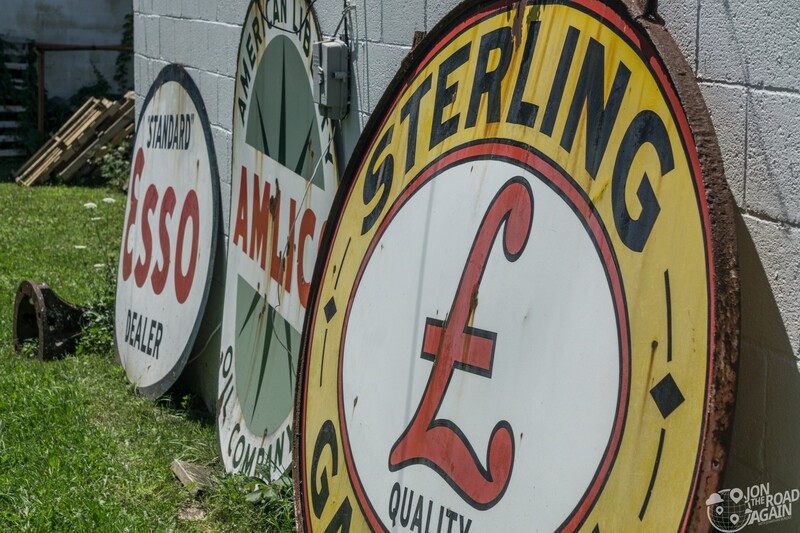 It is filled with really nice old cars and memorabilia.